Late last year, as I was planning for the year to come, I began setting goals for 2018. Some were habits I wanted to create; others, things I wanted to accomplish. But one goal stood out above and beyond the rest in terms of complexity, commitment, and ambition: write and publish my first book. I had never written a book before, not did I consider myself much of a writer. My only related experience was a few blog posts for my creative agency and some articles on Medium that had earned a sum total of less than $100. Writing a book seemed too ambitious. I hate to say it, but the overwhelming majority of Millennials don’t have a clue about money. Our expectations about what we’ll earn (and what we’ll get to keep) over the course of our lifetimes are wholly divorced from reality. Disclaimer: I’m not a personal finance expert. While I did study business and economics in college, I’m not a CPA, CFP, MBA, or any other of those confusing acronyms. I haven’t taken my Series 7, 63, 66 or any of that. I probably shouldn’t be advising your parents on how to invest their nest egg, but I hope this article can give you some solid advice on how to set yourself up for success down the road. Deal? Read on. 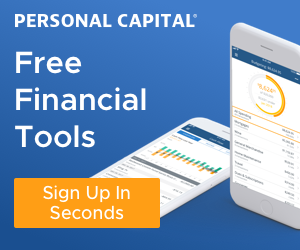 Download the Insider's Kit with the 9 best financial tools and resources to help you to manage your money better.